Visit a Naples Museum. What can be enjoyed by many different kinds of people? A tour of a one-of-a-kind Southwest Florida Museum of course. With such a variety of museums here in south Florida’s Paradise Coast, there is bound to be one that sparks your interest. You’ll find spectacular museums here – explore all the Naples FL museums by visiting the links below. To feature your Naples Attraction, contact us. 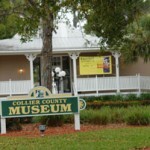 Exhibits about southwest Florida from the Calus Indians to present day. 25 minutes from Marco Island. This museum has about 3,000 bears on display and is run by a non-profit organization. 40 minutes from Marco Island.